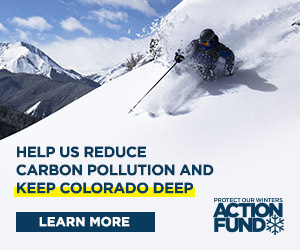 Keeping public lands in public hands, the path to decarbonization, securing funding for the implementation of Colorado’s Water Plan, and the elimination of self-bonding for mining companies were among the topics of discussion at the Conservation Politics in 2017 event on February 4, held by Conservation Colorado. State senator Kerry Donovan, Colorado representatives Barbara McLachlan and Millie Hamner, Gunnison County commissioner Jonathan Houck and Conservation Colorado public lands advocate Scott Braden converged at Western States Colorado University to share their thoughts on the political climate. They highlighted opportunities to move forward legislation at both the state capitol and the community level, and they took questions from the audience on conservation issues. “We are a statewide conservation group founded on the premise that conservation values are Colorado values,” said Braden, introducing the group. Conservation Colorado’s priorities, as noted by Braden, are the implementation of the Water Plan, public lands management, protecting the methane rule to mandate methane capture, and rural economic diversification. “There’s so much uncertainty and a lot of fear, frankly, about what is going to happen to our public lands, to our waters, that it has just captivated people. It’s our job as conservationists, no matter what groups or affiliations… to bind together as a whole to stand up for the things that we care about,” said Braden. The panelists launched the conversation by highlighting the particular legislation they were focused on; the discussion then expanded into more focused questions on conservation policy from Conservation Colorado and the audience of approximately 80 people. Donovan advocated that the public interested in conservation politics stay aware. She reported no specific legislation for public lands, but expanded on the current administration’s stated aim and actions to transfer public lands. With the public inquiring about the most effective methods of political engagement, Donovan added to look for and listen to the counter-narrative, expand your news sources and to follow the money. “We have a lot to be nervous about… pick an issue, learn about it and stay informed on it,” she recommended.